Getting ready in the AM can sometimes turn into a real drag. Especially on those days when your hair just won’t do what you want. If your untameable mane has got you running low on patience, it may be time to invest in a haircut that won’t cost you your nerves and take up your coffee time in the morning. 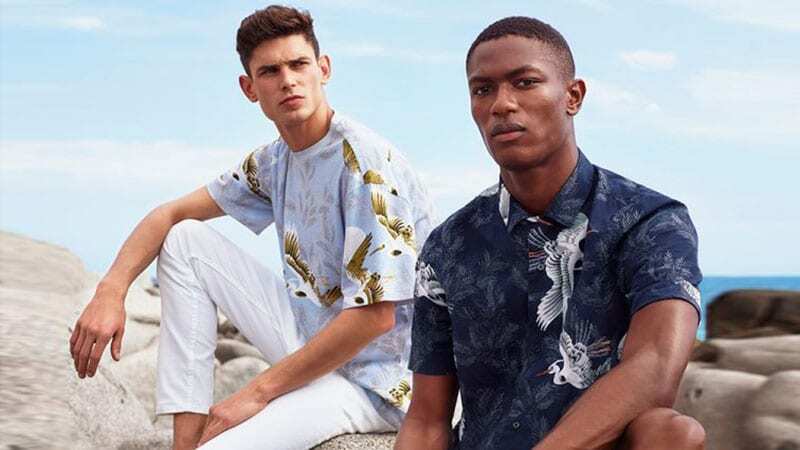 The good news is that with a low-maintenance look, you don’t have to compromise on style any longer. 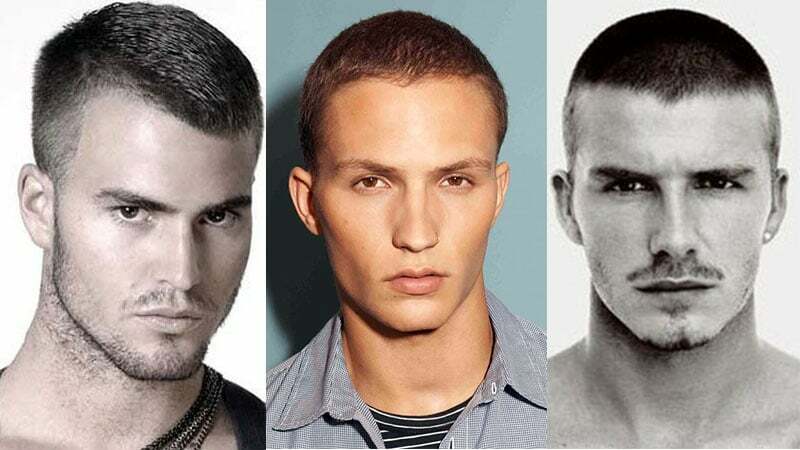 Here are the best low-maintenance hairstyles that will have you looking neat with a minimal amount of effort. A buzzcut is usually the general term for any haircut achieved using electric clippers. However, it’s mostly associated with extra-short hairstyles that are between 1/16 to 5/8 of an inch long. While it may be the most low-maintenance in terms of styling – since you literally have to put zero effort into that – it does require regular upkeep, depending on how quickly how hair grows. On the plus side, you can just give yourself the buzz at home without spending extra dollars on pricey barber shop visits. Every electric shaver comes with different length attachments for you to chose from. The crew cut used to be worn by university rowing teams. It features longer hair on top that gradually fades into a tight taper along the neck. While this might be one of the more complicated cuts to do yourself at home, it is not impossible. All you need is different sized trimmer blade guards and good visualisation skills. The signature of this look is longer hair in front, which is usually styled into a quiff or a little pomp. 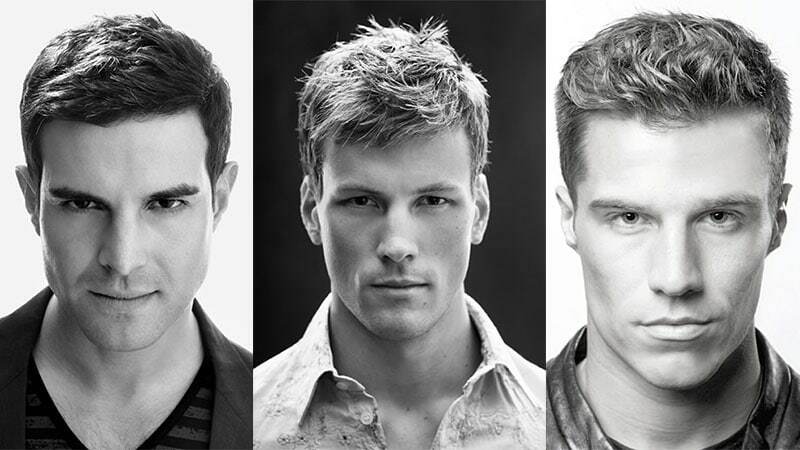 The taper haircut is quite possibly the most popular hairstyle of the year. Its clean and precise lines are typically cut with scissors instead of clippers and follow the contours of your head. This cut is the shortest around the neck and gradually grows in length towards the top of your crown. Therefore, this style usually only requires a little taming with your fingertips on top, or none at all if you’re going for more of a #wokeuplikethis effect. Even as it grows out, the taper cut can still look effortlessly good and may spare you from a few regular trips to the salon. 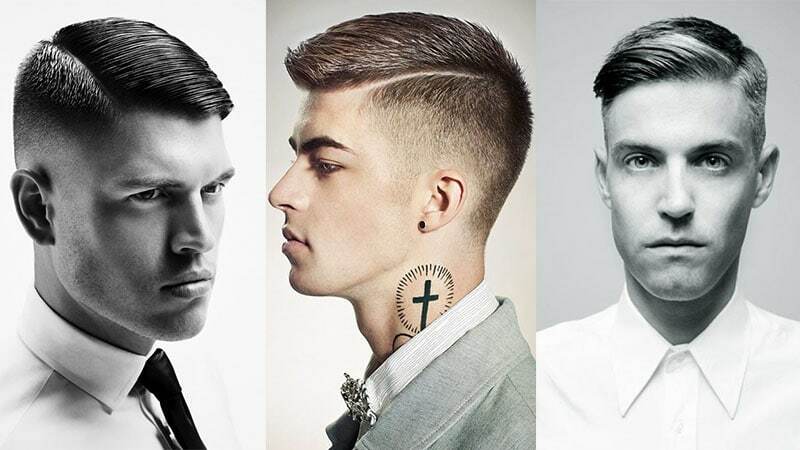 Keeping your hair significantly shorter on the sides, automatically makes your hair appear thicker on the dome. While a side part may be tricky to style at such short length, you can always ask your barber for a little more definition in that area. Then all that’s left to do is use a little (or a lot – depending on the thickness of your hair) product to sweep your top hair over to the other side and put your part on display. For a dressier look, you can use pomade as it will add a bit of shine to your strands. Alternatively, you can opt for something with a matte finish for a more low-key look. 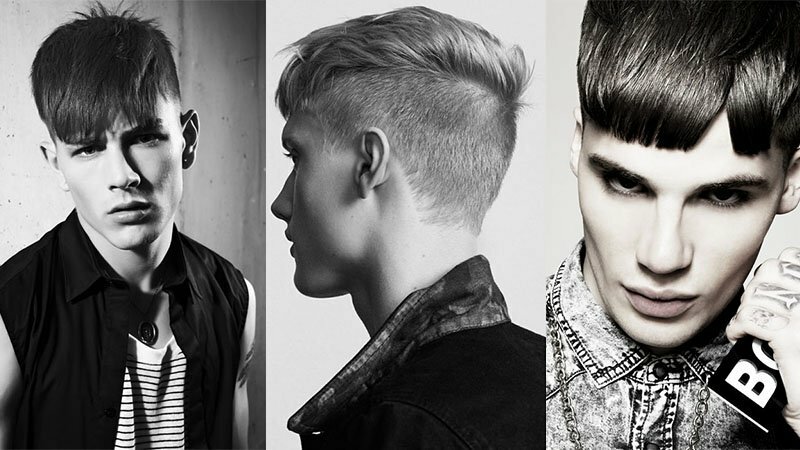 The French crop is a stylish, modern take on the classic, military-style Caesar cut. This effortless hairstyle is designed to add a little volume to your top hair, without the trouble of having to create a quiff or a pomp. The cut is defined by a full dome of hair combined with a drastic taper or fade all around your head, staring at corners of your forehead. As opposed to the Ceasar cut, the French crop features the addition of a blunt fringe in front. Its length tends to vary, depending on personal preference, but typically doesn’t exceed the top of your temples. The fringe also increases the styling options of this look significantly. 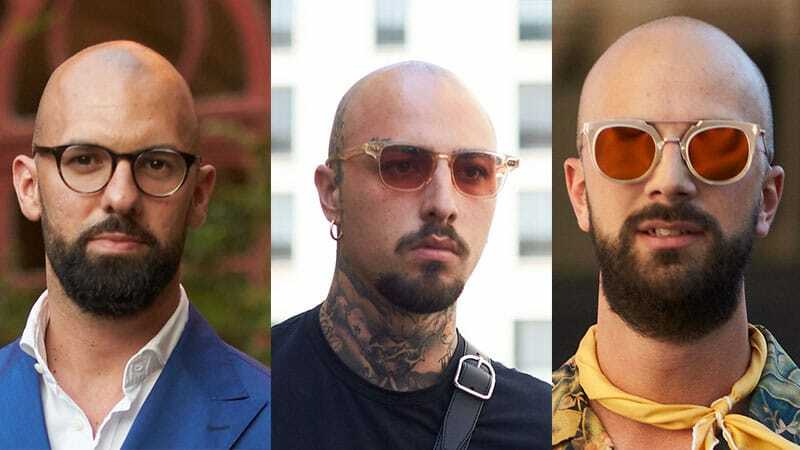 The ivy league haircut is probably the longest buzz haircut there is, as it’s created using a ‘number 7’ or ‘number 8’ blade guard on your trimmer. With the most length on top, you can blend in the sides and back with one of the shorter clipper attachments. 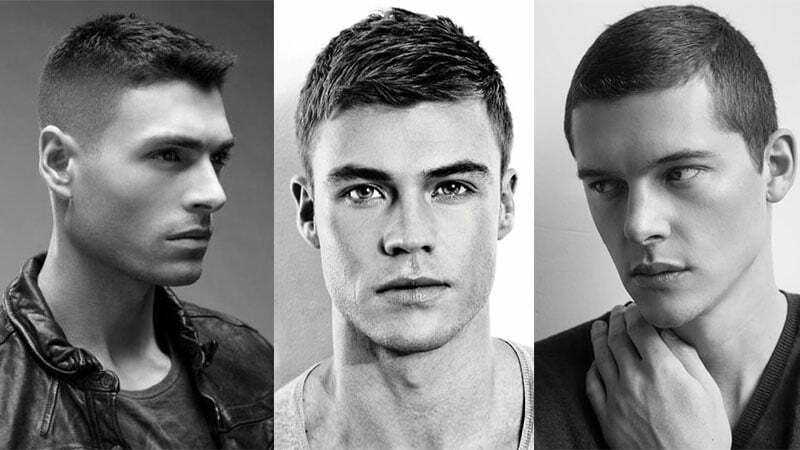 This cut is low in maintenance and yet still offers enough length to explore different styles for different occasions. 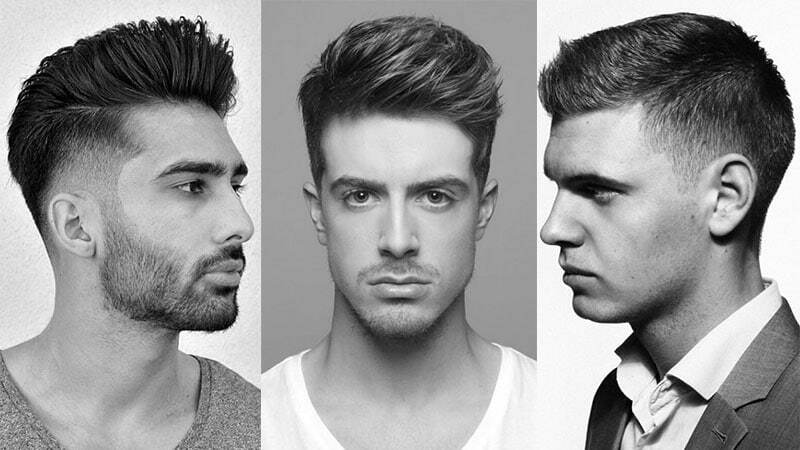 You could either slick it back, comb it into a side part or even create a little quiff on top for volume. 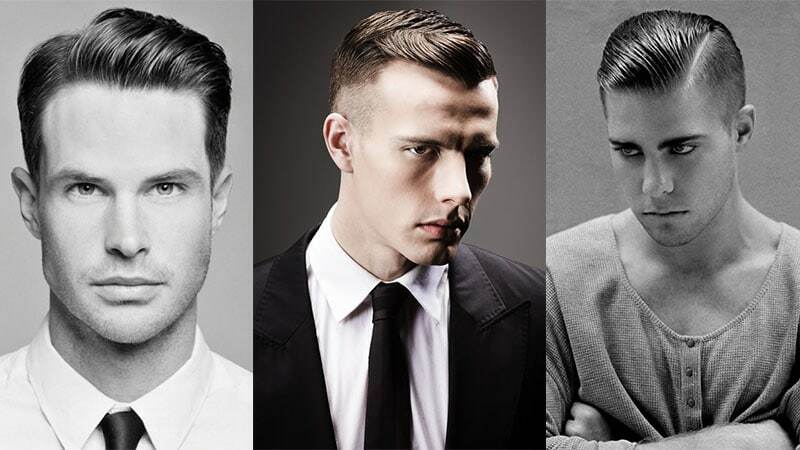 A short slicked back hairstyle is best worn in combination with a refined fade or undercut. The contrast will underline and visually increase your natural volume on top. All that’s left to do then is set the look with a little styling product and a comb. You can even use your fingertips for a less sleek appearance. The short slick back is the perfect low-maintenance look for gents who don’t have much time to spare in the bathroom but don’t want to compromise on a stylish appearance in the office or after hours. If you feel like making a clean cut, a complete shave may be the look for you. After all, freeing yourself from your mane and all related styling commitments that come with it, can feel nothing less than absolutely liberating. 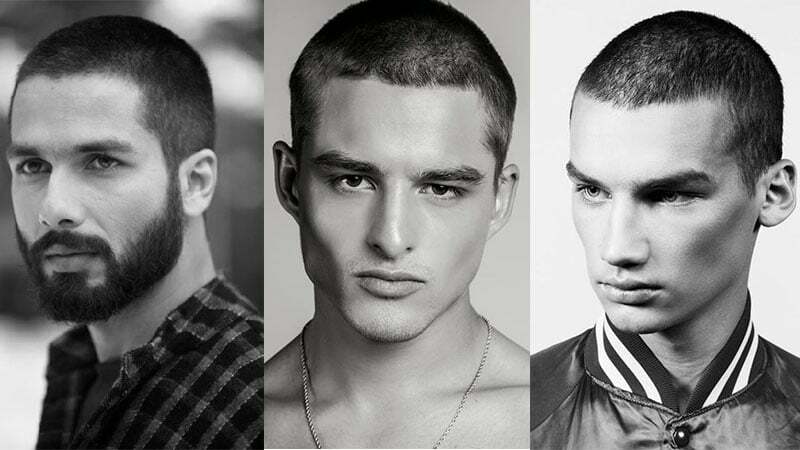 While a bald dome doesn’t require any styling, it does call for regular upkeep. If you are looking to keep your head neat and cleanly shaven, a shear every other day should be in the cards. However, you could easily buy yourself a few weeks’ time by growing it out into a buzz cut. The butch is another extra-short style of the buzz cut family. With about 1/4 of an inch in length, it sits comfortably in-between the induction cut and the ivy league. Just like other buzz styles, this one is an excellent choice if you want to try yourself at a DIY job. All you need is a ‘number 3’ or ‘number 4’ trimmer attachment. The hair is usually kept the same length all around, but you may opt for a bit of a fade along the sides to add a little more depth to your look á la David Beckham. 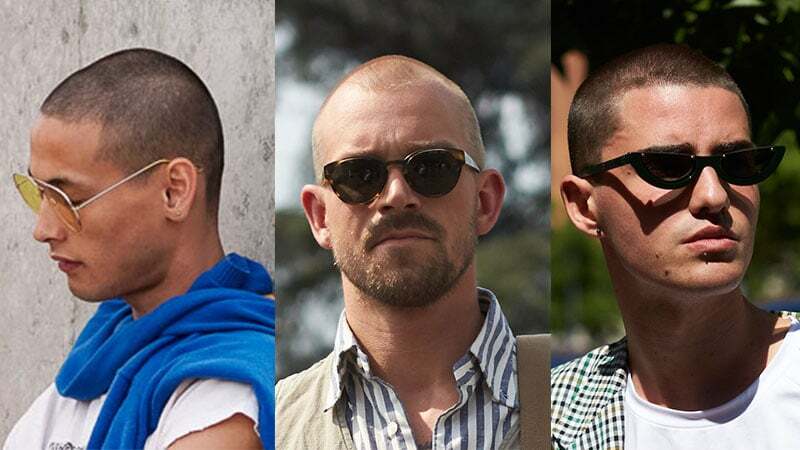 The induction cut is the shortest kind of buzz cut. The name stems from its military history; the induction cut used to be given to the new recruits upon joining the army. Apart from the usual upkeep, this hairstyle doesn’t require any fading or styling, and can easily be achieved in the comfort of your own home by removing all guards from your electric clippers. This will result in a near-clean shave with your hair remaining approximately 1/16 of an inch in length. Two slightly longer variations are the burr cut, using blade size ‘number 1’, at about 1/8 of an inch, or a ‘number 2’ at about 1/4 of an inch.